The traditional image of the Norman warrior is the mailed knight bearing a kite shield and couched spear astride a powerful destrier. These were the warriors who gave the Normans the reputation as the best heavy cavalry in the tenth and eleventh centuries, from Britain to Byzantium. However, the mounted knight was hardly the only Norman warrior, and most certainly not even the most numerically predominant. At the Battle of Hastings, most sources estimate that Duke William fielded one to two thousand cavalry out of a force of six to eight thousand. Osprey's Campaign Series book Hastings 1066, citing Professor David Douglas, puts the cavalry numbers much more precisely at 1,070 Normans, 400 Franco-Flemish and 530 Bretons. 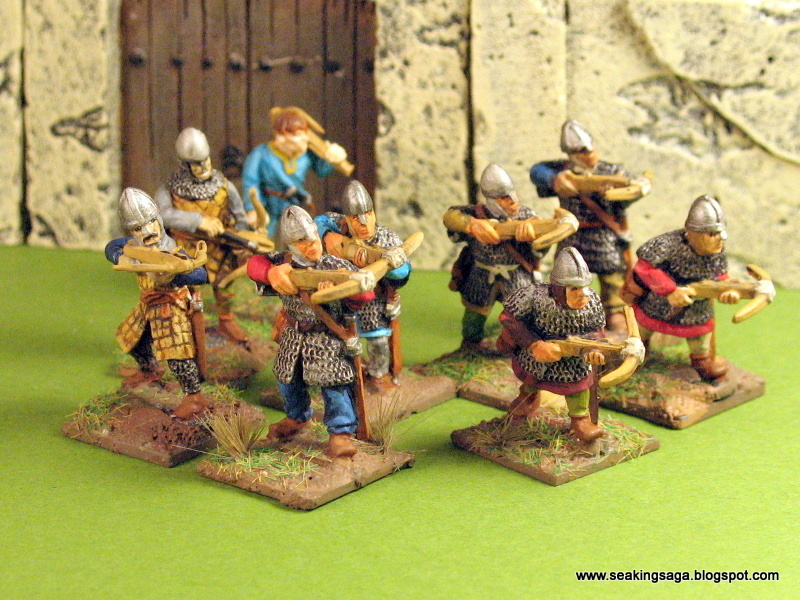 These estimates make the cavalry at most 25% of the Norman army. 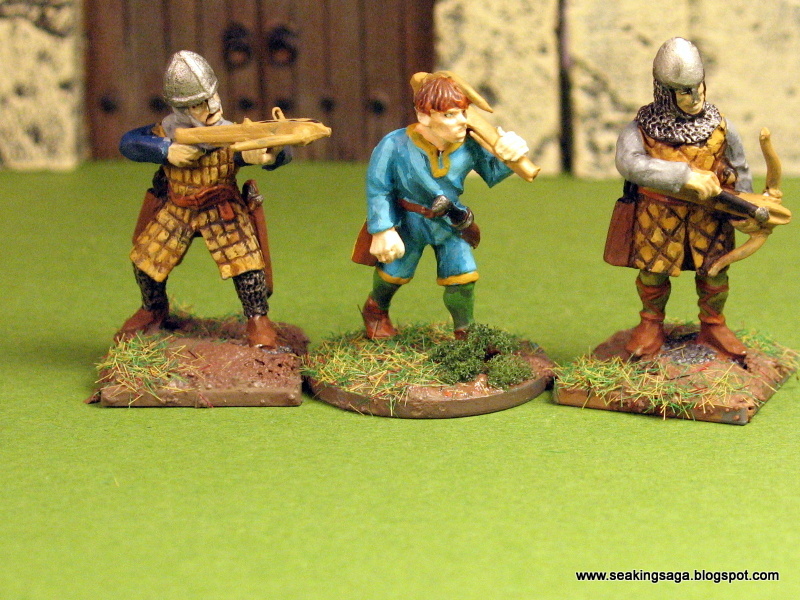 What of the majority of the Norman army, the spearmen, archers and crossbowmen? As low ranking sergeants or commoners, chroniclers showed little interest in recording their contributions to the battle. Not surprisingly, The Bayeux Tapestry shows the Battle of Hastings opening with 12 horsemen and 4 archers, an inverse of the probable distribution. Tactically, Norman infantry and archers initiated contact with the enemy, the cavalry holding back until the point of maximum impact. The knights did not get all the glory, though. 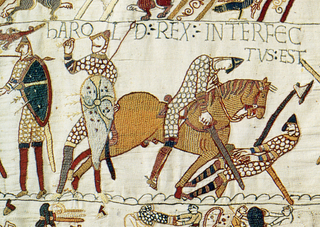 The Bayeux Tapestry does depict England's King Harold's death by an arrow to the head. The three figures below are from Black Tree Designs. I recently made my first purchase from the American distributor, and I am impressed. The finish is a bit rough in some places, but the posing is unique and natural; the company's delivery was very fast. 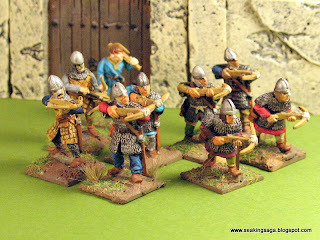 There is some debate about whether crossbow units were present at Hastings. 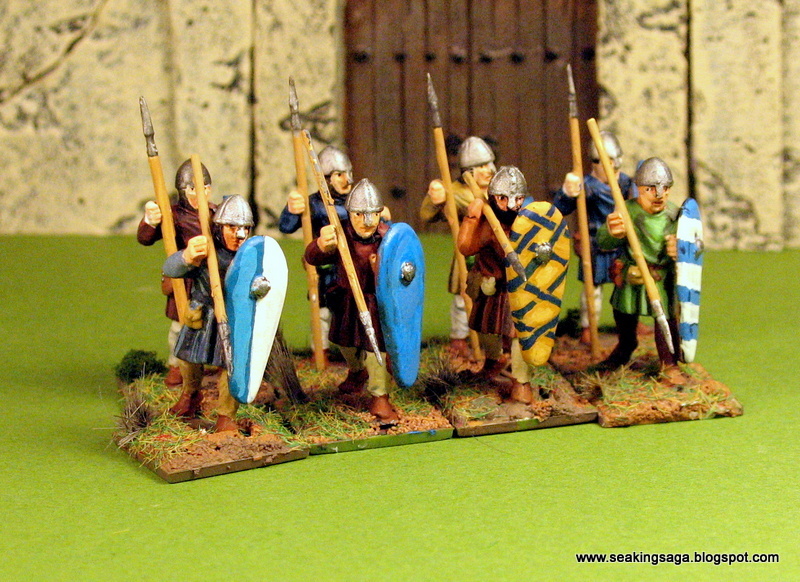 Nonetheless, they were an integral part of the Norman warmachine in Italy and undoubtedly accompanied Norman knights on the First Crusade. 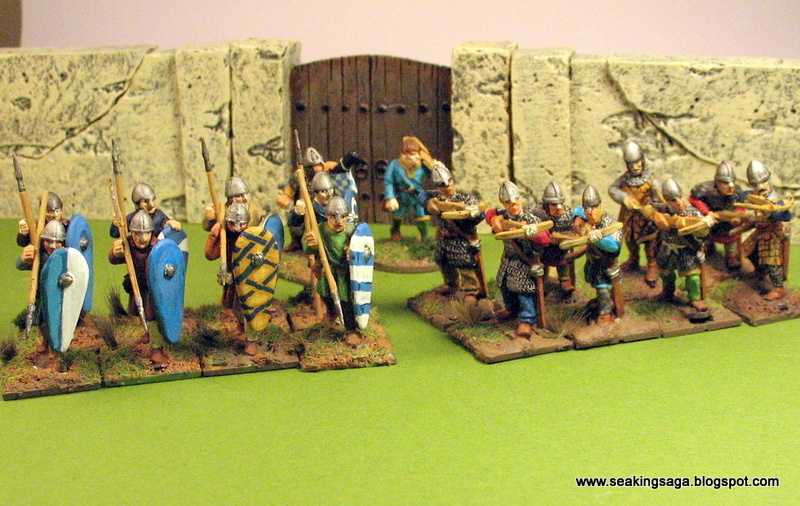 For a challenge, I recommend playing SAGA as the Normans using the historical percentages from Hastings. In other words, with a six point force, at most two units can be mounted. Gravett, Christopher. 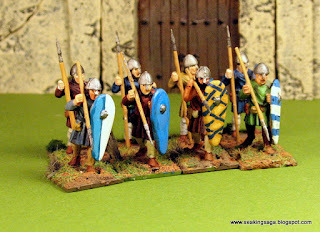 Hastings 1066 The Fall of Saxon England London: Osprey Publishing, 1992. 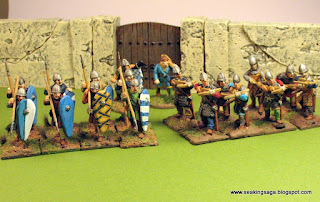 Very nice Normans!! I like how you have painted them. 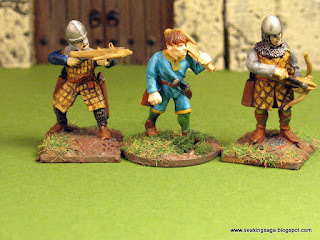 I´m waiting for the Conquest Games ones and the I´ll try to paint a Norman Warband too.